Forecasters in Miami say Tropical Storm Matthew has strengthened into a hurricane as the storm continues its westward trek across the eastern Caribbean. The National Hurricane Center said Matthew, previously a tropical storm, now has top sustained winds of 75 mph as of Thursday afternoon. 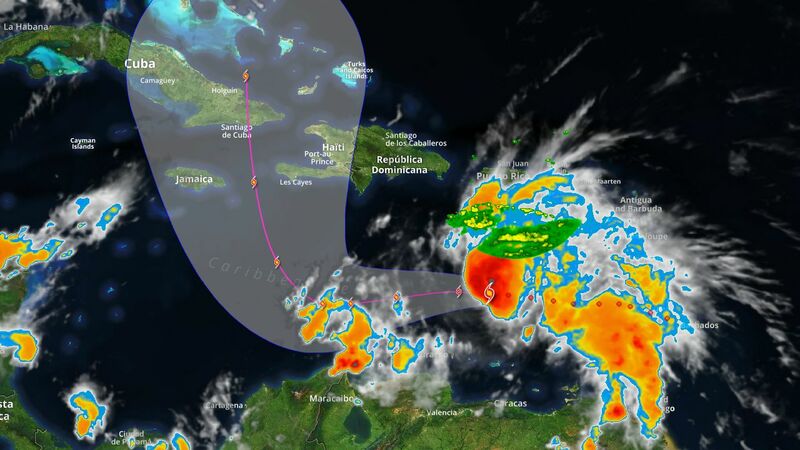 It is moving westward at 17 mph (28 kph) and is centered about 190 miles (300 kilometers) northeast of the island of Curacao. A tropical storm watch is in effect for Curacao and the islands of Bonaire and Aruba. Forecasters say people along the coasts of Venezuela and Colombia should be among those who are watching the progress of the storm.